Best Apartment I Ever Sold invites our agents to share the unique story of their best selling experience to date. 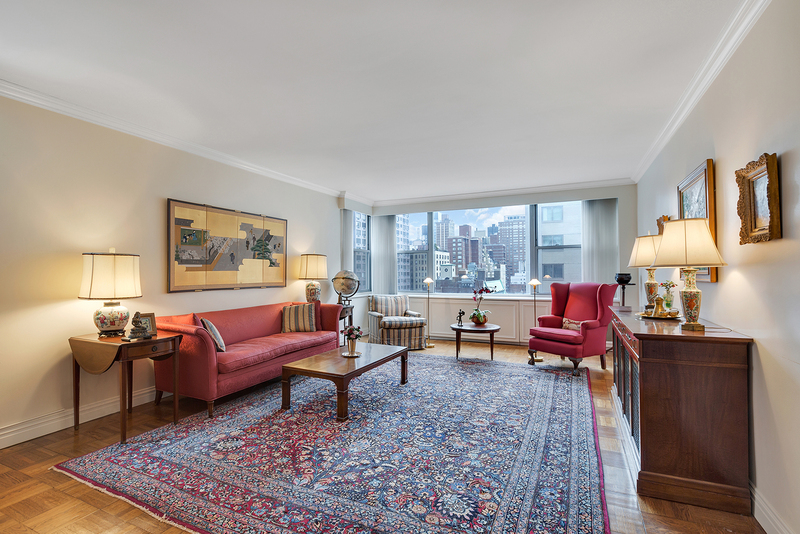 This week, learn why Ben Jacobs’ sale at 176 East 71st Street, 12D is his best one yet. There is never just one favorite apartment, but there are always a select few that stay with you after the deal is complete. For now, I think 176 East 71st Street, 12D is one of the best apartments I’ve ever sold. It was a classic 2-bedroom, 2.5-bathroom Upper East Side co-op of roughly 1,800 square feet. There was a gracious entrance foyer that led to an elegant gallery and a major selling point was how easily one could entertain in the home. Not only was there a massive 15 x 25-square foot living room but there was also a formal dining room large enough for a 12-person table. The home needed work, but it had been maintained beautifully. Walking into the apartment sent you back to a wonderful period of New York City thanks to the home’s British colonial furniture and traditional English wallpaper. I knew this apartment because it felt like home. It was also of a style and a product category that I have sold over and over again. A great deal of my sales experience happens to be with very difficult co-ops, particularly Upper East Side co-ops, which is amusing because I live in Brooklyn. Pricing the unit was challenging because of the building’s stringent buyer requirements. As a matter of fact, the seller chose me over three competing agents solely because of my co-op experience. You see, this building required potential buyers to have post-closing liquidity equivalent to twice the purchase price. My asking price was $2,195,000 which means that a suitable buyer would need to have well over $4,000,000 in liquid assets after the purchase. In addition, the building only allowed max financing up to 40%, meaning a buyer would have to come to the table with 60% of the purchase price before the post-closing requirements. Despite the challenges of apartment condition and co-op requirements, I was able to find a qualified buyer in only 35 days from listing the unit. I wasn’t surprised by the quick turnaround because the moment I stepped into 12D I knew how special the home was.